Sept. 22: Pop Up in the Shipyard w/ Special Guest: The Honey Paw! The Honey Paw is one of Portland, Maine's best — and most unique — restaurants. You can read about them here. We went up there in August to collaborate on a pop up and it was super successful. So now they are coming down to Boston to hold one at (where else?) KO Pies in the Shipyard. Chef Thomas Pisha-Duffly — who has family connections to Indonesia — will bring his interpretation of Indonesian cuisine. And, of course, we'll be adding some of our classics as well! This will sell our fast. So get your tickets here! Join us for another dinner in the East Boston Shipyard at 7 p.m. on June 23. This one will be an extra-special all-vegetarian dinner. To get tickets click here! On the menu is Otak-Otak: Grilled fish dumpling wrapped in banana leaf and served with a spicy peanut sauce. Join us for another dinner in the East Boston Shipyard at 7 p.m. on June 9. To get tickets click here! 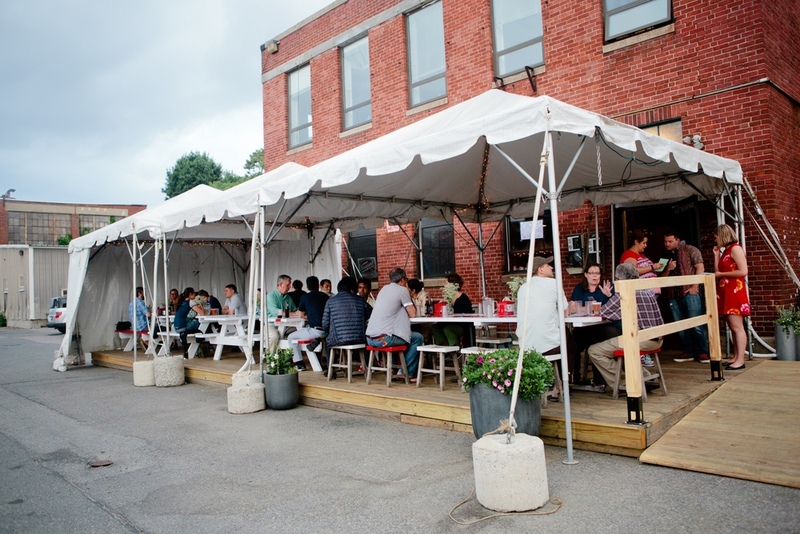 Kaki Lima Boston pop up at KO Pies in the East Boston Shipyard on May 12, 2015. Join us for another dinner in the East Boston Shipyard at 7:30 p.m. on May 26. To get tickets click here!